It’s the first finished object! Well 95% finished. I haven’t washed it yet. 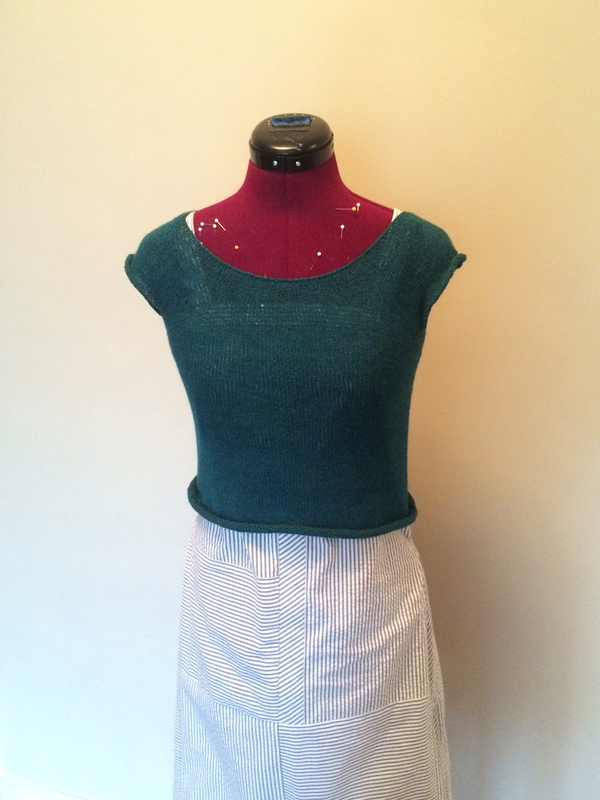 It’s a super simple hand knit, yoked, cropped, pullover. I wrote more about the technical details (yarn, needles, etc.) 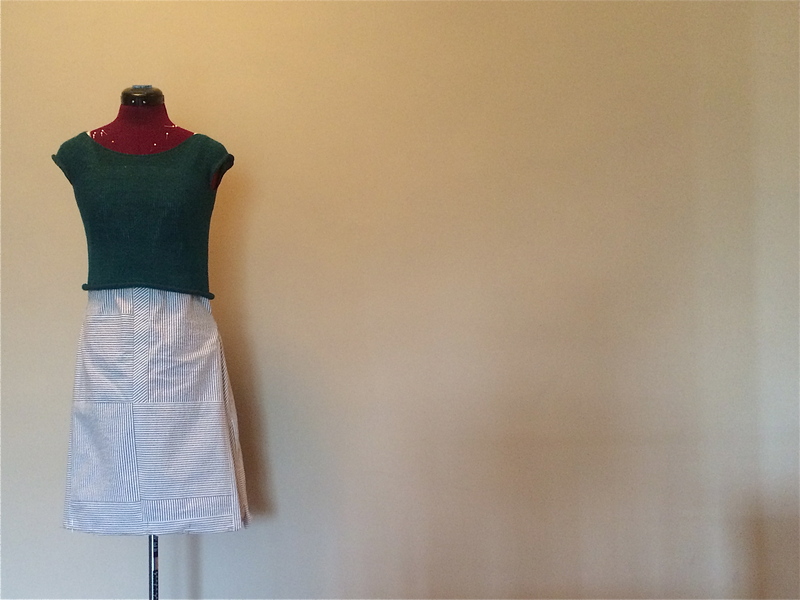 over on the knitting blog. I’m hoping it’ll gain a little bit of length when I wash it, but overall it came out like I wanted. And it’s officially (well at least once it’s washed) the first finished garment for this project. Squee!! I have the feeling I’ll wear this dress-sweater combo at least a couple times. This entry was posted in One Month of Prep, The Garments. Bookmark the permalink.